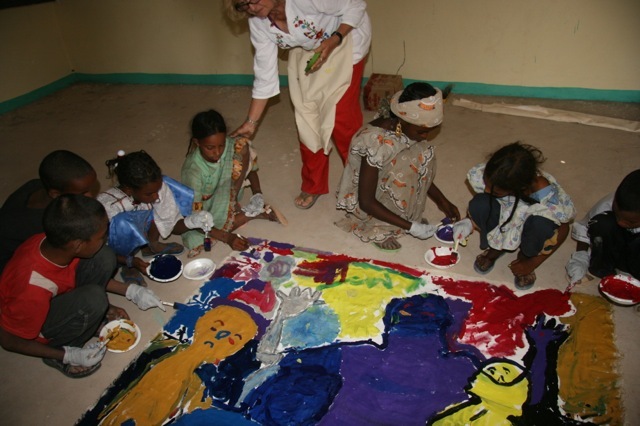 Linda Taylor a well known artist, educator and Rotarian from Ojai West provided materials and devised arts programs for the kids at Tamesna. The first was a large painting based on the outlines of several of their shadows. 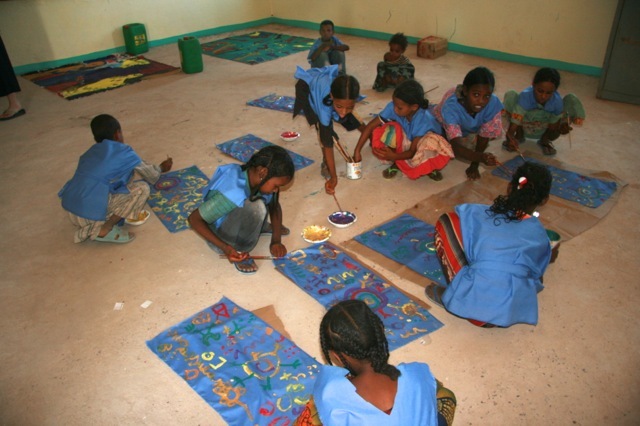 She prepared the canvas and mixed the paint and then let them go for it. The shadow mural almost done. 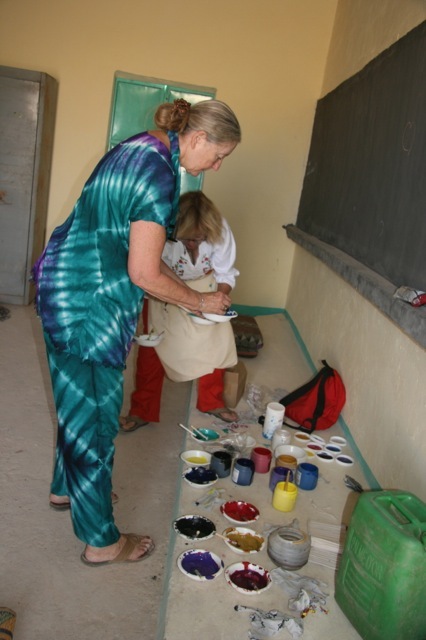 Linda and Rene Briggs mixing paint. 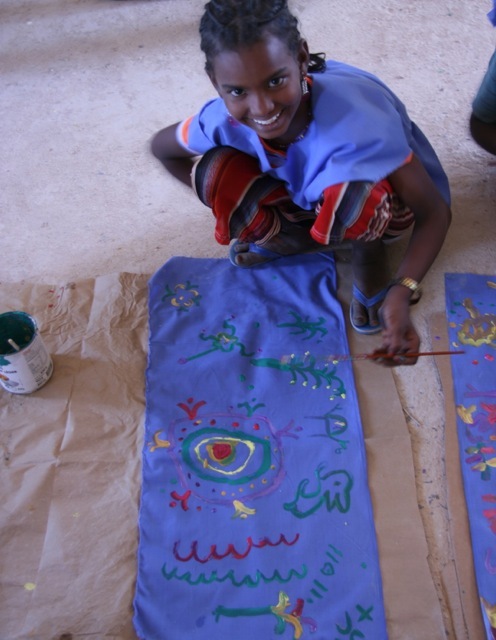 The second mural was outlines of their hands as a border and their own designs –mostly of animals– in the middle. 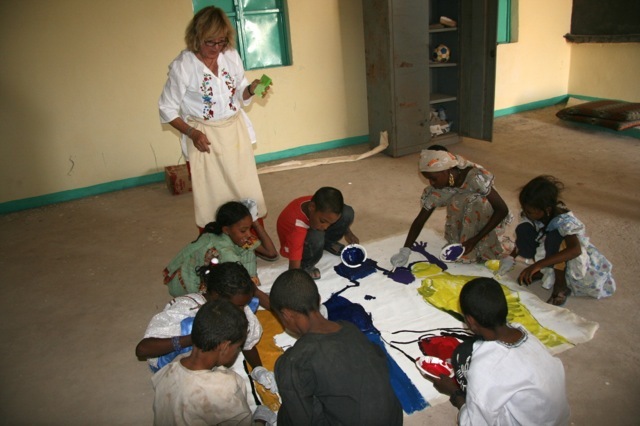 Some of them had dressed in their finest for the beginning of school on the first day so we learned to have the boys take off their shirts and made some improvised aprons for the girls to protect their good clothes. 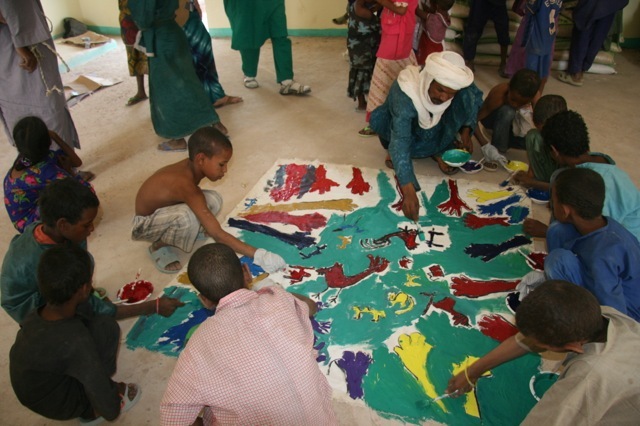 Their last project was to paint their own flags, which will decorate the school. The were very engaged and VERY proud of their work. Thanks to Linda for bringing this possibility to them. Linda Ojai is brilliant! I want to grow up and do all the interesting things that this smiling gal has done. that they were totally immersed. 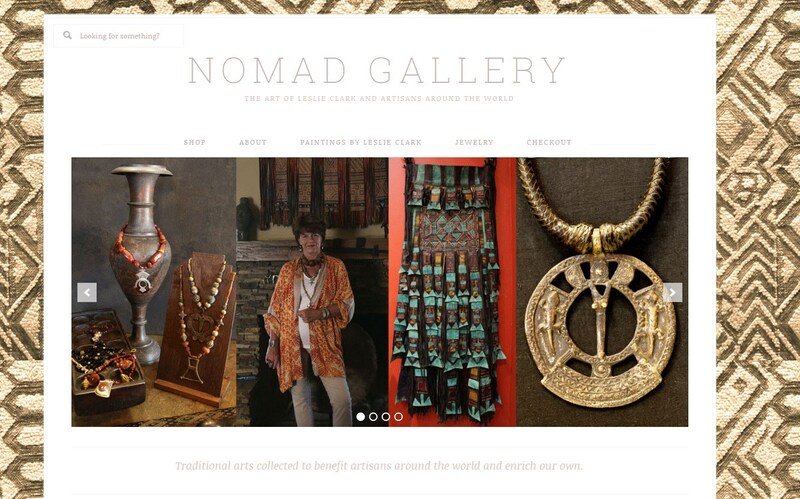 It was an honor to travel with you and I am coming to you gallery in Ojai! helping with EVERYTHING, accounting, and all around cutie…I would serve with her anytime, anywhere.